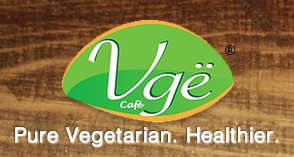 We just learned about Vge Cafe, a vegetarian cafe in Bryn Mawr, Pennsylvania that also offers a large selection of gluten free items such as wraps and brown rice bowls. Their menu includes soups, salads, sandwiches, and even dairy-free soft serve ice cream! Vge is open Monday-Saturday from 11:30 am-8:30 pm and Sundays from 11:30 am-3:30 pm. Their kosher supervision is under the IKC.